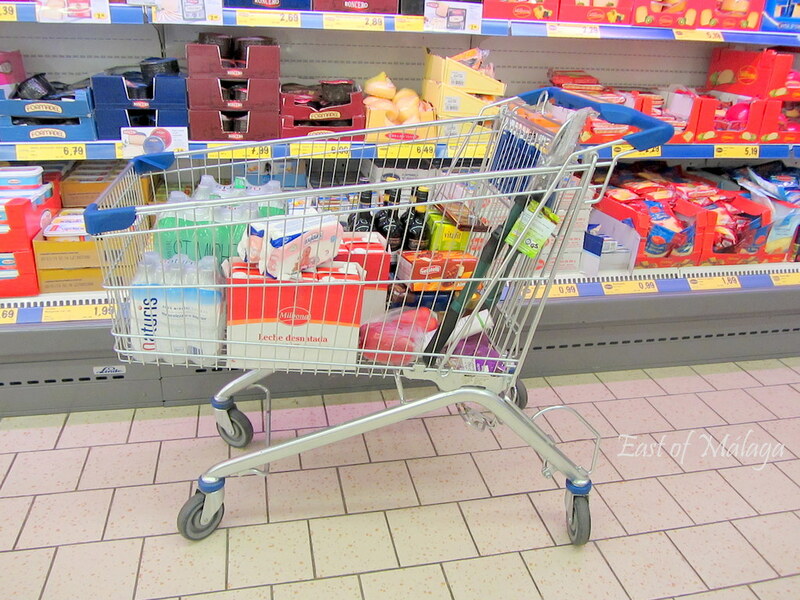 Every year or so, I publish a list of the costs of grocery shopping and household expenses applicable to the area where I live, east of Málaga. The Cost of Living Series will also include other articles related to the costs of living in Spain. Click on the links below, to see the posts. My wife and I will be returning to Malaga in May to further research the area before we make the permanent move from Canada in early 2017. Your web site has been an incredible asset while we plan this move, and I sincerely thank you for that. I have recently read of unfortunate expats who have moved to Spain only to find one of the spouses comes down with a serious medical problem ,such as Alzheimer’s or a stroke, and they are forced to return to their home country as the ailing spouse needs 24 hour care and the cost of a long term medical facility in Spain, of which there are few, is financially out of reach. I understand that the Spanish civil code states that it is the responsibility of the family to care for an ailing relative, but if you have no children, and can’t afford the long term care facility, it seems so unfortunate that you have to return to your birth country with your invalid spouse, which will be expensive and present further problems. . Am I correct Marianne, that there are very few long term care facilities in Spain, and the cost is exorbitant? Thank you. Mike. Hi Mike – thanks for your kind words. I’m afraid I have no knowledge at all about this subject. You’re right that it is usual for Spanish families to help out with the care of patients (even in hospital), so if someone has no relatives close-by, I’m not really sure what would happen. I’m not trying to be evasive – I really don’t know – but it’s a subject that maybe I should look into, if only for my own peace of mind. In the meantime, maybe the ladies at Como Consulting may be able to help you. They are two American women who now live in Spain, and who advise on aspects of moving here. I have no connection with them, but their website looks informative. Good luck! Hi Mike – yes, there are sport channels in Spain, but as in many countries around the world these days, most sporting events of any significance are on “pay” channels – such as Canal + in Spain. As you say, Sky is available at a premium here, too. There is some coverage of sporting events on the free-to-view channels as well (i.e. Spanish football is widely shown on free channels, as is Moto GP and Formula 1), but increasingly this is less often than it used to be. As far as English-speaking channels – the trick here is to use the buttons on the remote control. Handsets differ, but if you go into the “menu” then find the audio section, there is usually an option to change the speech from being dubbed into Spanish to “original version” on programmes made in the US or UK. Thanks for the FB follow, Steve. I’ll look you up …. Very informative and useful with these articles about cost of living in Malaga. Me and my girlfriend are considering renting an apartment next year. Hopefully it wont just stay a dream, but reality. Nice to hear from you and your plan to move to Spain. There are private insurance companies in Spain as we have them here in the states like Blue Cross/Blue shield. I have to search my emails because I corresponded with a company and they gave me some potential quotes for my wife. I think most American insurance companies will not provide coverage outside the country. Interesting question is how will the Affordable Care Act impact this. Sanitas and BUPA are a couple you can begin with in Spain. I live in Vermont and we are moving toward a single payer system in the next year and I’m not sure how that will impact my wife’s insurance. Happy to discuss this with you more or other issues. Glad to be of help to you, Philip. Ah yes, healthcare. Both myself and my husband come under the Spanish health system, so I’m afraid I really don’t have any personal experience of private healthcare costs. I know there are sometimes advertisements in some local English language publications – so if you click on some of the links in this article I wrote a while ago – you might just find something to guide you. All the best to you and your wife for your move next year.